Bread cooking, the aroma filling the kitchen. That has to be one of the best smells in the world. I love fresh bread more than cakes, pies, cookies or any other dessert. I know I got a little off the subject, but I’m coming back around the bend now. My neighbor, Barbara, told me about a little restaurant not far from our city that had the most amazing spoon rolls. This is the kind of restaurant my mother would have loved. “They bring you a little something to eat while you wait on your food”, she would have said. To Mama, that was the mark of a good place to eat. Barbara said they brought a whole basket and real butter to spread on them. After she went on for a few minutes about them, my mouth was watering. I was in the process of getting the exact location so that I could go and try them out when she happened to mention that she got the recipe. I immediately asked when she planned on making them. Well, to make a long story short, the very next night she brought over a basket of hot spoon rolls. Bill and I sat on the patio eating them and fell in love with them. They are the kind of roll that I love. I have a tendency to shy away from a recipe involving yeast except on rare occasions, but these are so easy. No rising or rolling out. Just mix them up when you start cooking, set them aside while the oven preheats and spoon them into their little muffin cups. 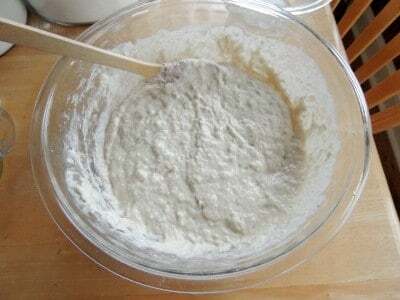 The recipe makes a large batch which is great because you can store the dough in the refrigerator and make them for several days. When you get ready to cook some more, just scoop them into the muffin tin. No need to stir them up. Now I want you to trust me and give these a try. Everyone will think you are a culinary expert. Our cast of characters for world famous spoon rolls. Yeast, Water, Oil, Flour, Sugar, and Egg. 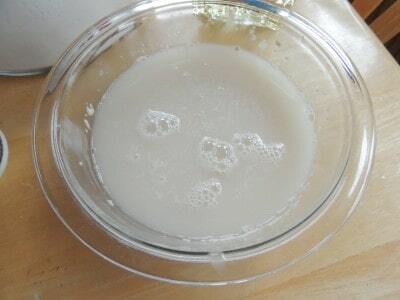 Stir yeast into the warm water. Your water should be the temperature of baby’s bath water. Just warm to the touch. Set it aside while you mix the other ingredients together so that it can start working. *Make sure your yeast is fresh. Check the expiration date. 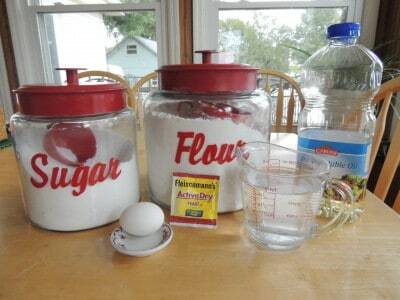 Measure out flour and sugar. Stir. Add oil, and a slightly beaten egg and yeast mixture. Stir until well blended with a wooden spoon. Cover with plastic wrap and let sit while your over preheats. When you’re ready to bake them, spoon into muffin pans that have been sprayed with cooking spray. Stir yeast into warm water to dissolve. Slightly beat egg and add to dry ingredients along with oil and yeast mixture. Stir with wooden spoon to combine well. Spoon into sprayed muffin tins and bake at 400 degrees for 15-20 minutes or until lightly browned. Note: This batter will keep several days in the refrigerator covered with plastic wrap. ~A quote Nick Saban used in his book, How Good Do You Want To Be? Look yummy and I can’t wait to make them! So, did you find the name and location of the restaurant that serves these? Would love to try them as well. Good, country restaurants are hard to find these days. These look so good! Will definitely be trying them!! Thank you! Whoa howdy, Mama Janice, I can’t wait to make these so simple instead of all the steps to make them the regular way. I love the smell of bread baking too and often think back to being a little girl and the wonderful smell when momma made her awesome rolls. thank you for the beautiful memories. I don’t think anyone can make bread as good as our momma’s even if they used the same recipe. How full would you fill the muffin cups and how many rolls do you think the recipe would make? Thanks. Can’t wait to try them. You & your mom’s recipes are soo good! Thanks for sharing!! Laundry & house were piled up! Laundry since you are soo busy traveling & promoting your publictions. a family…I never received a response & I was very disappointed!!! Janice, I feel showing your family through love, and raising them to love the Lord is worth more than anything in the world. How many children in the world do not have the love of two parents? How many children are from a wealthy home , the home is spotless via a housekeeper, the children are kept by a nanny and not snuggled with and tucked in with a story and a kiss goodnight? I would much rather have a load or two of laundry that needs washed, and a little messy house than my daughter feeling unloved and neglected because momma didn’t have time for her. Give me the sweet love of a child any day over a messy home. If you ever paid attention to very many of Christy’s pictures and her talking about her children and the things they do you would know her house is not that messy and her children are so very rich from the love of a family. Sorry Janice this is just my soapbox from seeing children come to school each morning seeking a hug and then before leaving from school in the evenings coming by to get another hug before going home to last them until the next morning when they came back to school. the house was not what was important to these children it was the love and attention they wanted. Christy I applaud you for making God, your kids, and family first. A dusty table can wait but a growing child can’t wait! Children grow up so fast. I wish I had mine small again, I would overlook a few loads of laundry and dishes to play with them. Blink and they are grown with families of their own. Cathy Z you are exactly right I am going thru a hard time right now with my youngest being a Senior in high school and my oldest being a Junior at college. A little laundry piled up and a little dust is nothing compared to spending time with your children. So, don’t sweat the small stuff it will all work out. Just value the time with your children and make lots of memories!! One of the things that I can’t keep up with is also my email. I have received as many as 800 in a day and while I hate that I can’t reply to all of them, I also know that most people understand and show me grace in this. My family and I run our house in a way that is best for us and I am sure you run your house in a way that is best for your and your family as well. Thank you for being here and for your concern. I assure you we’re a very blessed and happy bunch- dirty dishes and all :). Christy – I love that your answers are full of grace and mercy! You truly do show that you have the love of the Lord in your heart! Love you! No the priority for a family is the love in it! You can have love without a clean house, I know because I’ve been ill for 40 or more years, and my house has never been super clean, because I couldn’t do it! The laundry piled up more than once, but my husband and daughter didn’t worry about it, they learned to cook, clean and wash clothes themselves, they pitched in, may not have done it to high standards but they managed to help out! That’s love. And why should we be super wormen, Christy has things to do, that help support her family, so why should she have to do laundry, the washer isn’t a mystery item, anyone can actually run one. Maybe her son can learn how to clean his clothes, good practice if he goes away for college or to work. Same with dishes and cooking, kids aren’t all play you know they do learn how to live by example, and pitching in and helping out are both things they need to learn early! A clean house isn’t necessarily a happy home… I am an RN, a thoroughly happy wife and a mother of two beautiful daughters. Our house isn’t always spotless but none of us or our friends have been ill because of a little dust or some excess laundry waiting to be done. I believe that showing love ❤️ kindness and charity and teaching our children the same is more important than a spotless house. May God bless you and yours. Not too be ugly, but usually the reply to ignorance is, No Reply. Especially when the question is the party’s own personal business. And besides that, what about kindness ? Amen Sedalia, Christy’s love of God, her children and family is so inspiring to anyone that follows her. She is such a blessing to many. She has lifted me up so many times when I needed her kind words and you are so right we too need to be kind. Double amen. clearly that woman’s only joy in life is to put down others and that is a sad sad existence. It burned mine, too. So glad you all handled that so wisely as I was not sure I could speak the truth in love. Ha ha! It burned your biscuits? I’ve never heard that before, it’s fantastic! It burned mine, too. I hate to gang up on anybody, but I agree with everyone springing to Christy’s defense. Okay, I am in the cooking mood and definitely going to try these! Janice (Christy’s Mama), your post brought back memories of my Mama and Daddy, born in 1910 and 1905. They loved when you got a little something brought out to eat before the meal came. Thanks so much for sharing this recipe. We are all bread lovers here and could make a meal off of rolls hot out of the oven. My Mama and I did when I was growing up but only when my Daddy was off working. If he was home, you had to have a full supper on the table, which we always did. Anyhow, thanks for the memories and do so enjoy your post. Oh, Christy’s post’s also!! You and I would get along very well. There is nothing better than the smell of bread baking…except…smelling it while you are sitting at the table eating a big slice of homemade bread with real butter slathered all over it. My grandmother was not considered a good cook but she was the best bread maker around. She was only 4’8″ but I saw men well over 6′ cringe when they shook her hand. All the years of kneading her breaddough, by hand, gave her the strongest grip ever. Opps…part of my comment got erased. My mom made Parker House rolls to die for and we looked forward to any occasion that would mean she would be making them. Thank you Janice for reminding me of two special ladies from my life. I look forward to getting my “cast of characters” together and making your rolls this weekend…yummy…can you see the butter dripping from my chin?!? I too am NOT a yeasty baking kinda gal, but I do believe I will be trying these they sound great!! I love your stories as much as your recipes. Thank you so much for both. I feel uplifted every time I visit with you through your personal memories and I thank you for sharing. I believe a home that has love looks like those of us who are loved. Not exactly perfect. And it would be sad to be any other way. I’m going to try to half them.. I would make the full recipe if I knew that I could freeze them. Hate to waste all that bread dough if I can’t. What do ya’ll think? I was thinking of doing the same thing! With only the two of us there we’d never get through the whole batch. The only tricky part is the beaten egg, which is hard to halve. But I’m just going to decrease the oil by a tablespoon or two and use the whole egg since it appears to be there as a binding agent. These look too good not to try, and I love that you can just make a few at a time and keep the rest of the batter in the fridge. Thank you, Mrs. Janice! Mama Janice, I have a friend 88 years young and she will make dozens of yeast rolls at a time baking them in the foil pans just until they barely start to brown at which point she says they’re done. She lets them cool then tightly wraps them in foil, then a zip bag. She freezes them and when she wants a pan she will put them in a 350 oven and by the time they are brown they are warmed and taste fresh baked. She and her husband have rolls for months. She usually only has to make a batch spring and fall. I don’t know if this works with all yeast rolls. Christy – just wanted to say how much I enjoy all your posts and recipes. I’ve said it before on here, but so many times your posts make my day brighter! Love the stories from you and your mama! God has blessed all of us through you daily! Love you!! Just wanted to let you know what a great job that you and your mom are doing. What a good inspiration the two ladies that are being. Thanks alot and God Bless you Both. I meant to say what an inspiration the two of you are being. We need more Mother and Daughters being this way in a world where we all are different. And we All are God’s children. He loves each one of us. Love me some BREAD recipes. Thanks!!! My favorite part of this site is the stories that go along with the recipes! I feel like I am at the kitchen table listening to you! Mama Janice – I am making a batch of these tonight!! What a great sounding and easy recipe to keep on hand!! Thank you so much! I love when you have posts on here! You remind me of my mama!! She would have “slathered” them with lots of butter too! She has been home with The Lord for 12 years now and I still miss her daily! So many of your stories and recipes reminds me of her! Keep’em coming!! Janice, I have met Christy, and she is a joy, for sure. Although I have never met you, I like you already! I loved my Mother’s cooking, her Mother’s cooking and my Daddy’s Mother’s cooking! I have always loved to eat and still do. Thanks for all your joy! This recipe has been around for a long time. I got it from my mother-in-law in the 1960’s. 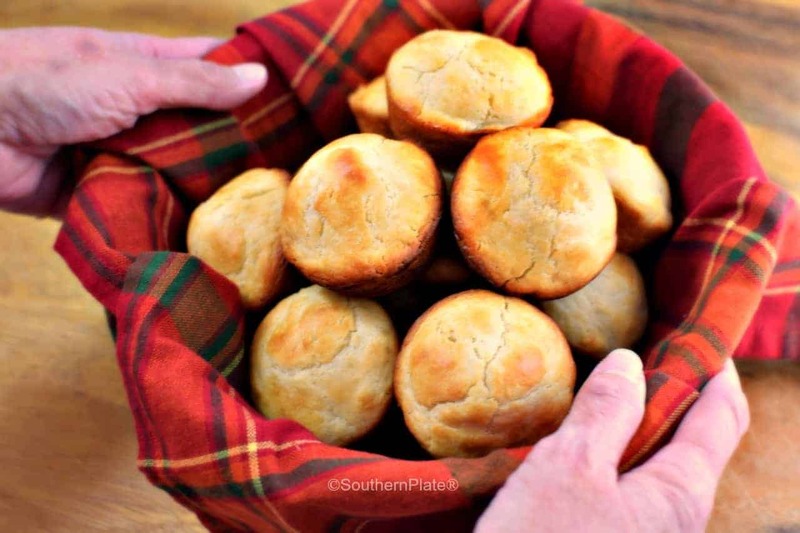 It is delicious and the closest thing to fresh yeast rolls without all the fuss. What I like is that you can bake as many as you want and refrigerate the rest until the next day. I am thinking of having some real soon. Thanks for the reminder. It is recipes like this that really make me wish I wasn’t gluten intolerant!!! If I had to choose just one thing to eat the rest of my life, I would choose bread!!! Thank you for an easy recipe to make some yummy bread! I love how much you and Christy are alike!! Even your writing styles are the same – cheerful, positive and we always get to go around the block with a great story! I also love the way the readers will jump to Christy’s defense, even when she can handle it quite well herself, we feel like we need to protect and defend her!! And now I have a new saying…”burns my biscuits”! I have tried this recipe with a gluten free flour on the market and it worked just fine. The smell is the best part. I have had this recipe for years and it was called Angel Rolls because they are so light. Just wanted you to know that we have some food allergies to work around in our family (eggs, dairy, and nuts). But I tried your recipe using flax meal and water in place of the egg. It turned out fabulously! A big hit…I could have predicted, my kids ate up the spoon bread way faster than the soup I served them for dinner. 🙂 Thanks for sharing the recipe. I am so glad to hear that everyone liked them even with the changes!!! Thank you for letting me know, now if anyone else has some of the same allergies and needs substitutions you have solve the mystery for them!! I ate one or two of them and then put the rest in a paper lunch bag overnight….the bag is completely soaked with oil….Are you sure the oil measurement should be 3/4 of a cup? Paper bags wick oil from bread much like a paper towel soaks up water. I’ve never stored bread that way because of it. I prefer foil but everyone is different of course. The recipe is correct. Hope you enjoyed the fresh ones! Hot from the oven is heaven. I found this recipe in my email box yesterday and couldn’t wait to give it a try. I LOVE bread!! This was quick, easy and tasted good. Much easier than the rolls I have been making in my bread machine. I used bread machine yeast…think this must work different from regular yeast cause they didn’t rise much at all or maybe my yeast wasn’t fresh. Anyway, new yeast and new batch soon! Mrs. JANICE I love your down to earth attitude and the recipes you share. I made these rolls on Friday night and took them to a party Saturday and they were well received. Everyone loved them. I think they will be gracing my Thanksgiving table as well. Thank You!!! I made these spoon rolls tonight to go with our dinner. 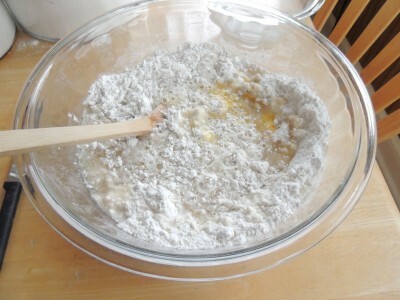 I did not have self-rising flour, so I used the formula to add baking powder and salt. I got exactly 24 light, fluffy rolls! They are really delicious. We gobbled them up with dinner, and I froze the rest individually in tin foil, then zip locked, so I can defrost them and warm them up for future meals. Thank you for a wonderful recipe!!! Hi, Christy & Mama. I made these for the first time tonight–took them out of the oven half an hour ago. They are excellent. My wife has already had 3, and asked me if I could make more for her to serve at a baby shower she’s hosting next week. Keep these good recipes coming, and thanks! Oh WOW! I am so glad to hear you and your wife liked them!!! !